This sensual dance is an unbridled release of sexual energy, wrapped in a political statement of the times. It’s an exhibition of free love in rebellion of the accepted conventions of order. 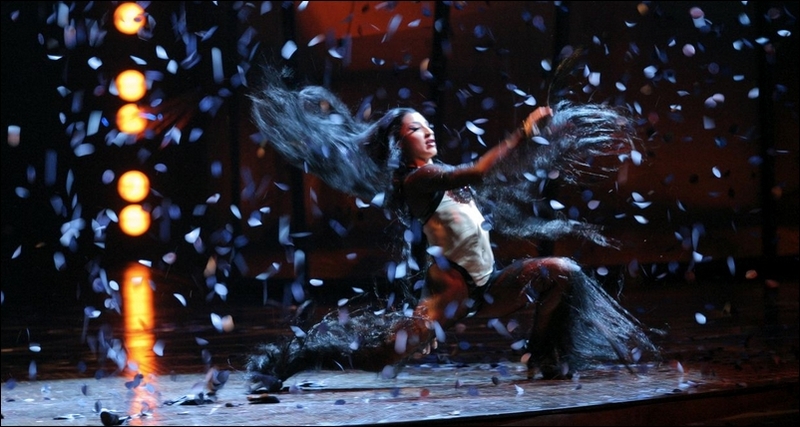 All at once, a storm sweeps over the stage as three characters, Spirits of the Wind, summon passion, desire and lust in a fevered dance. With smouldering intensity, their hypnotic dance stirs the soul, arouses the imagination and prepares the senses for an uninhibited transformation.